Amateur Radio Ops eat Velveeta?! eHam > eHam Forums > Misc > Amateur Radio Ops eat Velveeta?! RE: Amateur Radio Ops eat Velveeta?! It has been proven that Velveeta can cause a reduction in your sperm count. For a great many people these days, that would be a big benefit to the gene pool. Just don't let the word get around! A few years ago, I was chatting with a coworker. I told him I am a ham operator. His reply was "I didn't know they still do that". Talk about a guy who has it made! Only thing missing is a briar pipe and a retriever. That'd look great on a qsl card. Velveeta cheese is yellow and has no rind. EVERYONE MISSING THE FACT THAT THEY SHOW A CB RADIO? 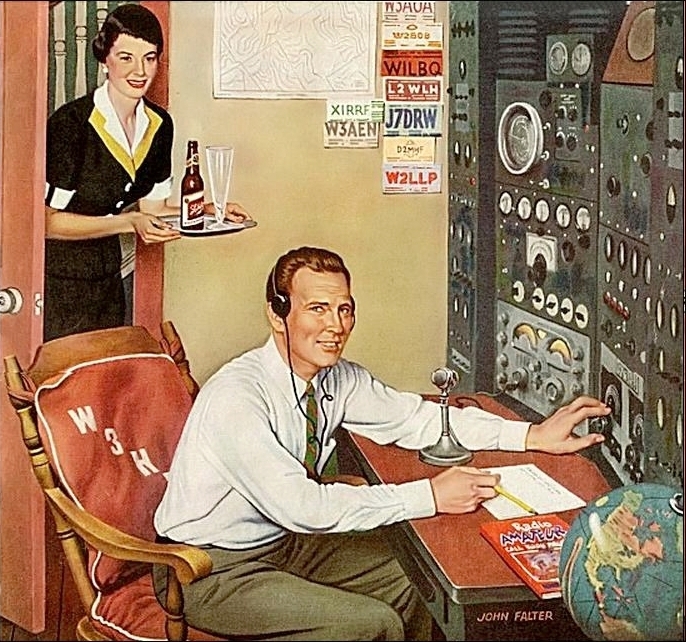 Ham radio has taken a public image hit over the past few years. Some lump us in with the CB crowd, some blame us for RFI when the toaster or washing machine malfunctions. I think it is the other way around. Velveeta seems to think ham ops are cool and Velveeta wants to capitalize on it to attract the younger target group, like K0OD had found out. Hey... its Ham and Cheese.... a natural!